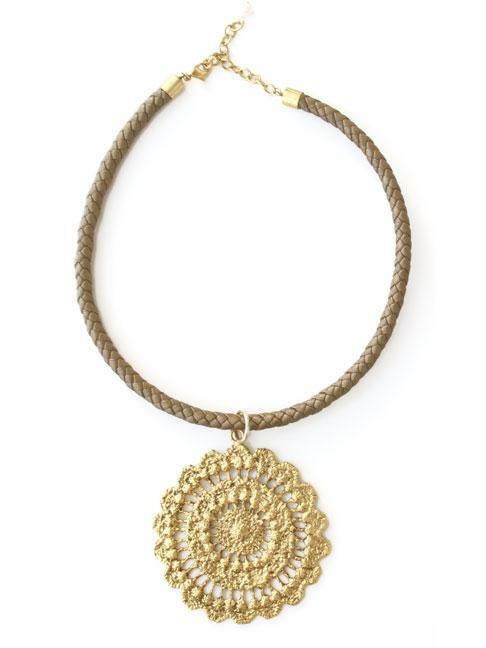 A beautiful lace cast medallion is suspended on a metallic bronze colored leather bolo rope. 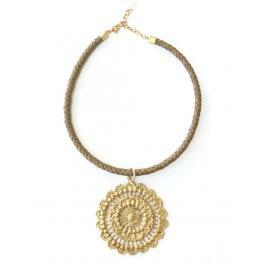 It has an antique gold plate finish over a bronze lace cast. Measures 18" in length.